The McConnel family is synonymous with Queensland and Australian pioneering history, being one of the first families to settle in Queensland prior to its separation from the Colony of New South Wales. The McConnel family also made significant contributions to the grazing industry, health and schooling departments and colonial government of Queensland. 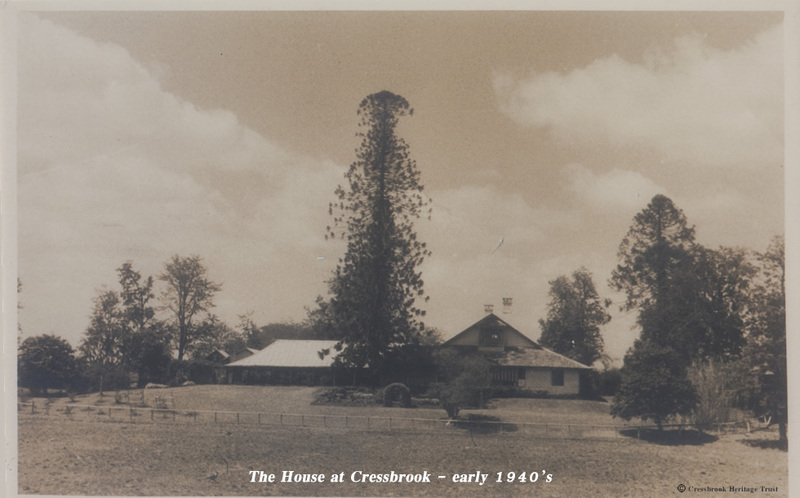 Settled by David Cannon McConnel on 15 July 1841, Cressbrook was the first run to be taken up by British settlers in the Brisbane Valley outside the 50-mile settlement limit to the penal colony at Moreton Bay and included over 120,000 acres. Upon settling on Cressbrook, D.C. McConnel built a slab hut, which is now the oldest residence and third oldest building in Queensland. Cressbrook was named after D.C. McConnel’s brother Henry’s estate in Derbyshire, England and was run under the partnership of John, Frederic and David McConnel from 1843 until 1861. When the partnership dissolved, Frederic returned to England, John took ownership of Durundur and David returned to Cressbrook with his wife Mary. An extension to the original hut was then constructed, with the number of construction and station workers on Cressbrook now significant enough to establish a small township which included a butcher shop, post office, carpenters shop, blacksmiths and schoolhouse, with weekly church services held in the hallway at the main residence. Along with a successful dairy herd, Cressbrook was also renowned for its Hereford cattle stud, which came from a line of cattle bought by the family in 1887. 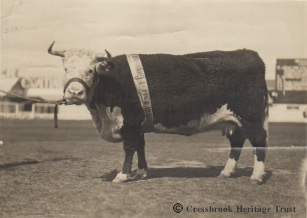 Between 1904 and 1907, Cressbrook bulls received numerous prizes and accolades including the Champion bull of Queensland, New South Wales and Victoria. The Hereford Stud at Cressbrook was one of the first in Australia, and was the first in Queensland. The Hereford Stud was dispersed in 1963, however some of the remnants of this stud are still registered by 5th generation McConnel, Mrs. Rosemary (Robin) Neumann (eldest daughter of Duncan and Erica McConnel). In 1901 the non-denominational Victoria Chapel was designed and built on Cressbrook by architect Robin Dods. Named after Queen Victoria who had died in January that year, the chapel was built to commemorate the silver wedding anniversary of J.H. McConnel and his wife Mary (Madge) (nee Kent of Jondaryan). This tradition was maintained following the donation of land by J.H. McConnel’s father D.C. McConnel in Esk to build the Presbyterian Church in honour of his own silver wedding anniversary with wife Mary (nee Macleod). In 1907 J.H. McConnel’s son Edgar Cannon McConnel, who married Phyllis Murray-Prior (of Maroon, Queensland in 1909), entered into partnership with his father and Cressbrook continued to be known for its Hereford stud until just after Edgar’s death in 1947. Edgar was also responsible for founding the prominent Cressbrook Polo Teams who were renowned throughout Queensland and New South Wales, having won numerous titles. Significantly, the Cressbrook team of B.C Bell (1), J.C. Allen (2), R.M Bell (3) and T. Allen (4) were the first Queensland team to win the Countess of Dudley Cup of New South Wales in 1923. Ponies descendant from the original Cressbrook bloodlines continue to be sold by 5th generation McConnel, Mrs. Rosemary Neumann, for polo and as stock horses, with past clients including the Sultan of Brunei. Following Edgar’s death, his only son Duncan Cannon McConnel with his wife Erica McConnel (nee St Clair, descendant of the Lordly line of high St Clair, Scotland) ran Cressbrook until 1996. Cressbrook is now run by fifth generation descendent Christopher David McConnel, only son of Duncan and Erica McConnel, with his wife Susan and their daughter Caitlin.